Jim Minifie directs the Grattan Institute's Productivity Growth Program, which is focused on policy reforms to drive Australian living standards. His team is currently focused on structural change in the Australian economy. 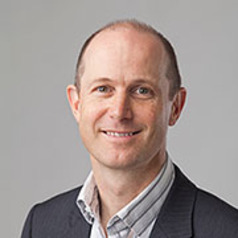 Prior to joining Grattan in June 2012, Jim spent 13 years at the Boston Consulting Group, including seven years as Chief Economist for Australia and New Zealand. There he was responsible for leading the firm's thinking on economic challenges – including the global financial crisis, the resources boom and climate change – and their implications for Australian policymakers and corporate leaders. His clients included governments in Australia, Asia and the Middle East and firms in media, online marketplaces, financial services, agriculture, industrial goods, logistics, retail, and resources and commodities. •	Market and contract design: water markets; vocational education market design, energy infrastructure selection and finance design. •	Sustainability strategy development: retailing, resources. Jim has a PhD in applied economics from Stanford University and honours and masters degrees in economics from the University of Melbourne. His research focused on contracts, incentives, and taxation.